Mark Seigel, MD, FACOG received his Doctorate of Medicine from the University of Pennsylvania in 1977. He is a Fellow of the American Congress of Obstetricians and Gynecologists and a Fellow of the American College of Surgeons. He is Past President of the Obstetrical and Gynecologic Society of Maryland, Past President of the Montgomery County Medical Society, and Past President of Med Chi, The Maryland State Medical Society. He served as Chair of the Maryland Section of The American Congress of Obstetricians and Gynecologists from 2010 to 2013. He was chosen by The American Congress of Obstetricians and Gynecologists to be Chair of the Ambulatory Practice Operations Committee and Chair of the Practice Management Committee. These national committees monitor, analyze, and disseminate information about economic and information technology trends in the health care system as they relate to the care of women. They develop policy recommendations to promote the adoption of health information technology for improving the quality and safety of medical care for women and to increase the efficiency of medical practice. He has taught continuing medical education courses for ACOG from 2010 to 2015. He was the Faculty Director for 2 courses taught at the 2013 ACOG Annual Clinical Meeting: Information Technology: Improving Patient Outcomes and Optimizing Practice Management discusses the use of information technology in the modern ObGyn practice. Social Media in Obstetrics and Gynecology is a new course presenting professional uses of social media and blogs. These presentations are listed in the web site presentation page. 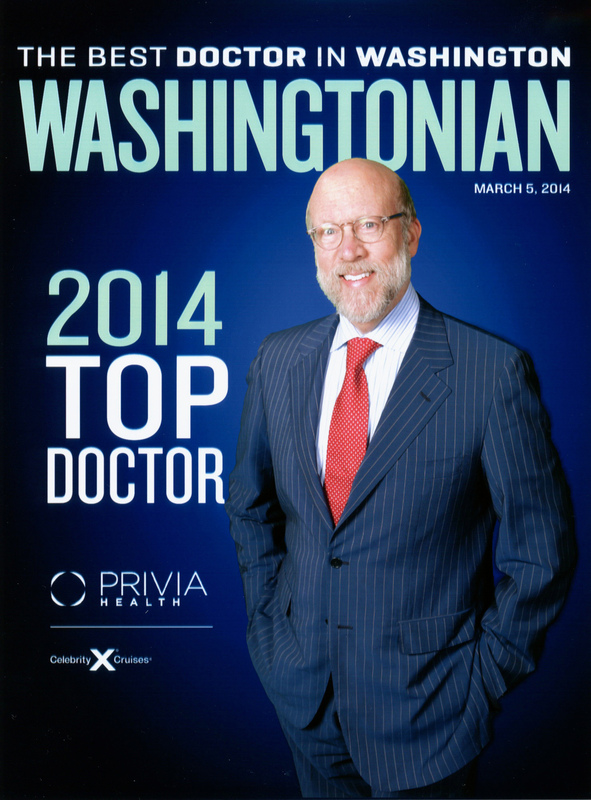 He has been recognized by the Washingtonian Magazine as a Top Doctor from 2002 to 2018. 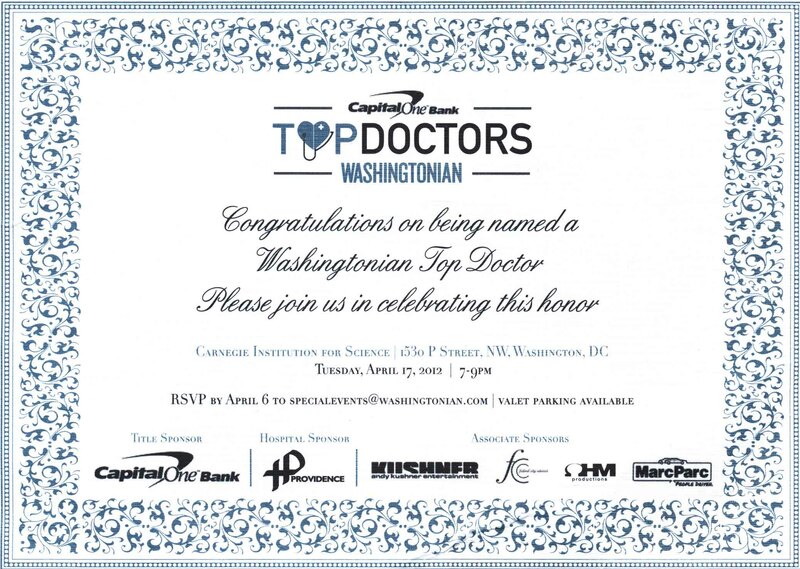 The above picture was taken at the 2014 Washingtonian Top Doctor reception. He recently received the Patients’ Choice Award from Vitals. Now in it’s 8th year, the Vitals Patients’ Choice award recognizes top-performing doctors based on reviews and ratings collected during the past calendar year. Dr. Seigel gives professional lectures and presentations on the use of Electronic Health Records and using Social Media in Medical Practice. Some of his recent presentations are listed here. Dr. Seigel also currently serves as a Member of the Executive Board of the following groups: The Montgomery County Medical Society, Med Chi, The Maryland State Medical Society, and The Med Chi Insurance Agency. He is also a previous member of the Maryland Delegation to the American Medical Association and was Chair of the Maryland Section of the American Congress of Obstetricians and Gynecologists.